Rotel is something I could buy by the case! I use it weekly for my nachos and in colder months it is a nice add in to any chili concoction I whip up. From corn salad to salsa scrambles Rotel is my Tex-Mex secret. Often found in recipes in my zine - you might think I have stock in the company. Target has the best price in town - even compared to discount grocery stores. This little can of tomatoes, peppers and spice is just right to make any dish a winner! 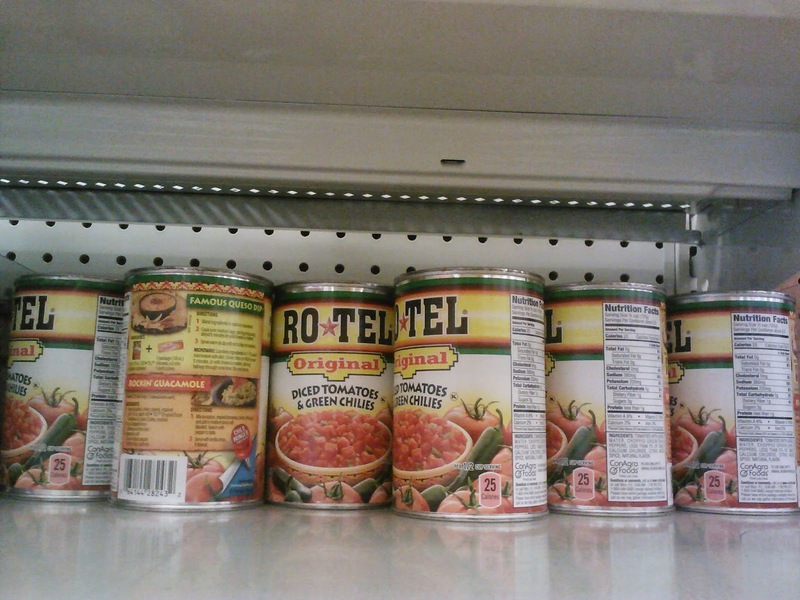 On any given Friday night you might here me yell across the aisles to Matt "I forgot the Rotel!!!" and see a vision of black clad cat lady sprint across the store!